Questions about Kichler Lighting 49517ACO? 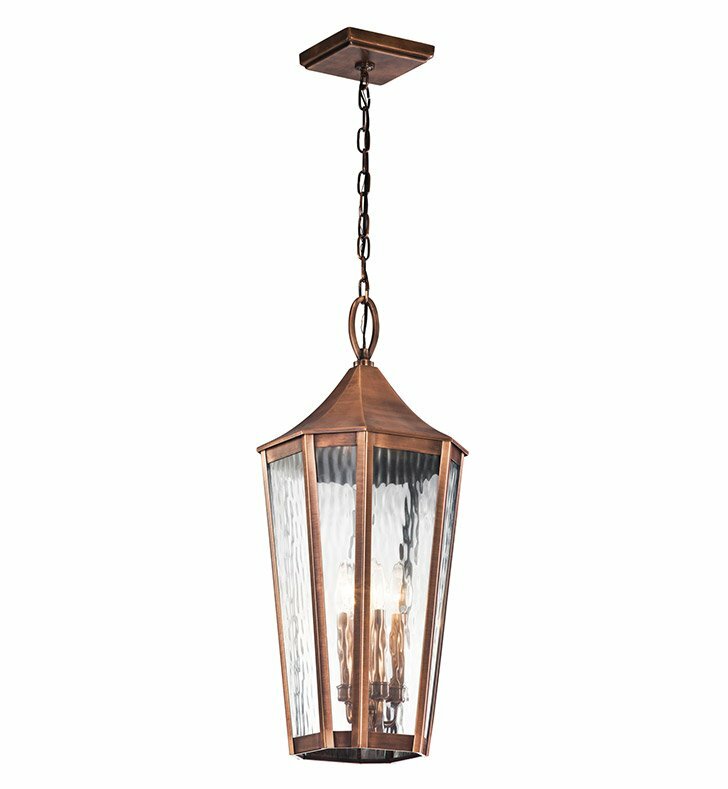 Traditional design gets a clean updated twist with this 4 light outdoor pendant from the Rochdale collection. The Antique Copper tapered design stands tall and elongated giving the vertical rain glass a chance to dazzle. Dimensions: H 27 3/4" x W 11 3/4"